My new Thursday evening Rosemont route is great! I’ve always thought that area had trash potential and I have no idea why it took me so long to look it up. I definitely prefer it to the Mile End / Plateau West; most of the people who live in this new neighbourhood are well established while the Plateau / Mile End has a large population of broke university students. The borders of this trash day are Rosemont/Dandurand to Belanger going N-S and Iberville to Cartier going E-W. This pile contained the kind of stuff you’d see in a garage or basement. 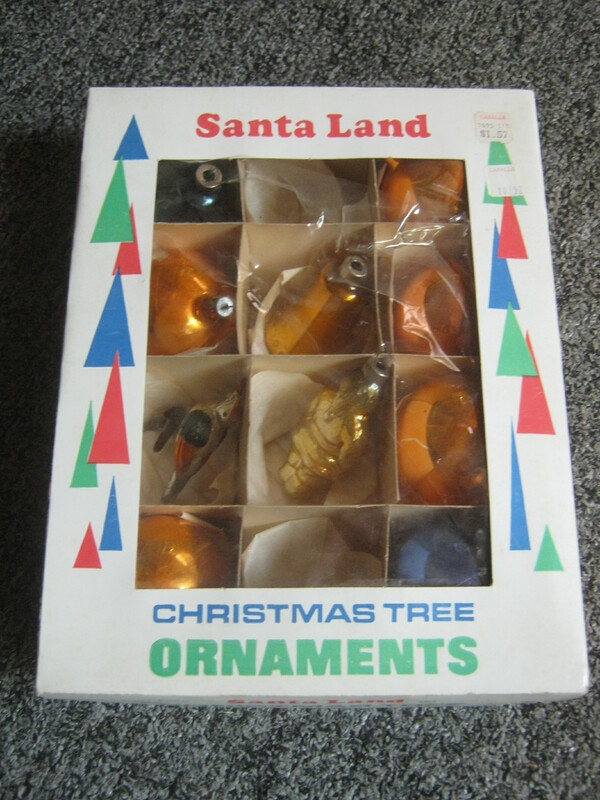 Amongst the junk was this box of old Christmas decorations. I think they’re from the early 70s. The box was 1.58 but was on sale for 79c. 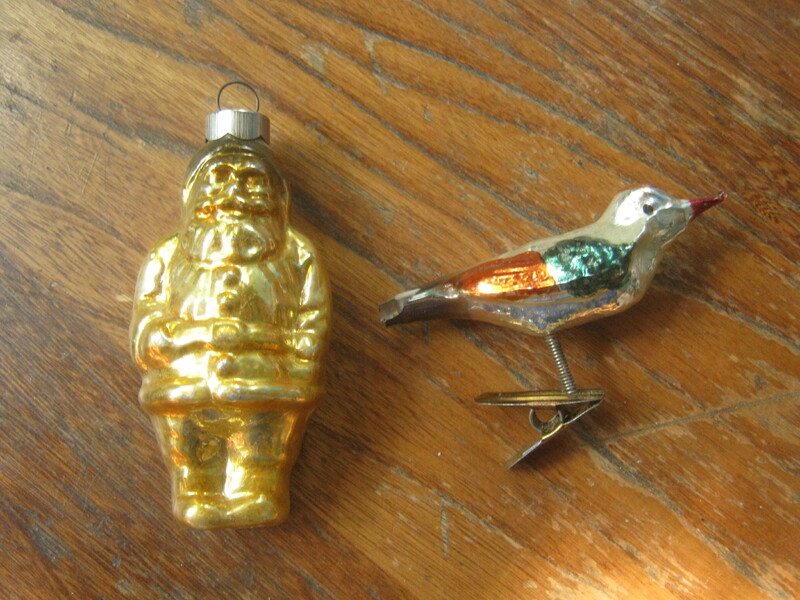 My favourite of the decorations was the clip-on bird and the Santa. I like bird decorations and I’ll probably find something at home to clip it on to. Later on I came across this pile. It seemed like this stuff belonged to an older man. 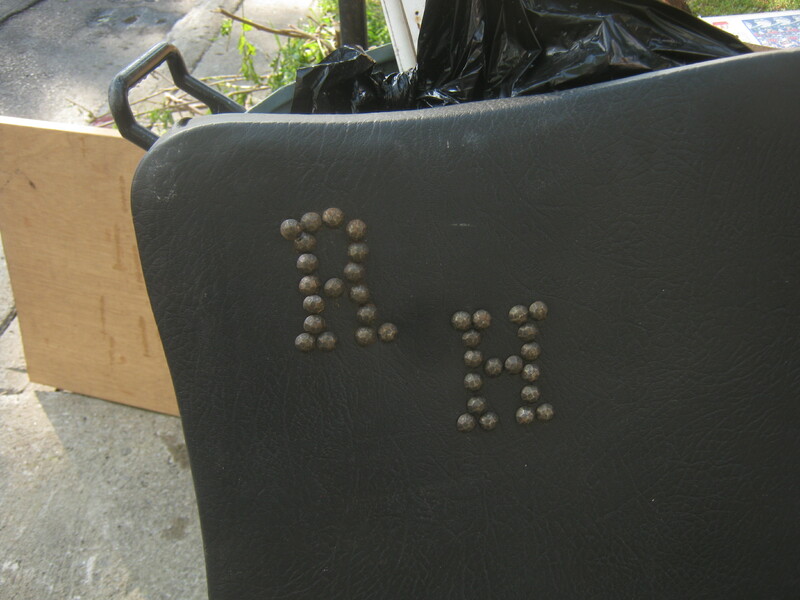 The owner marked his initials (“R.H.”) in pins on the headboard. 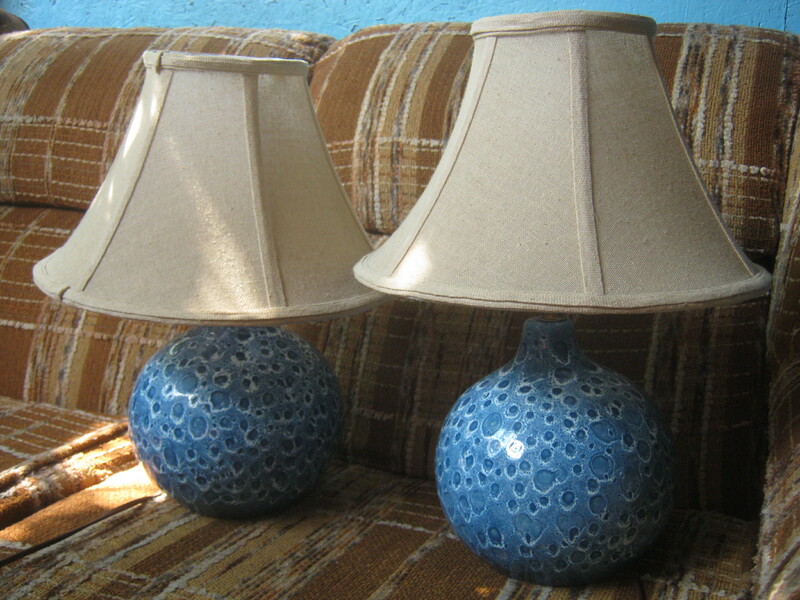 I saved these two beautiful lamps from one of the black bags. I’m not sure how old they are but the sockets look sort of “vintage.” Any guesses as to when they may have been made? 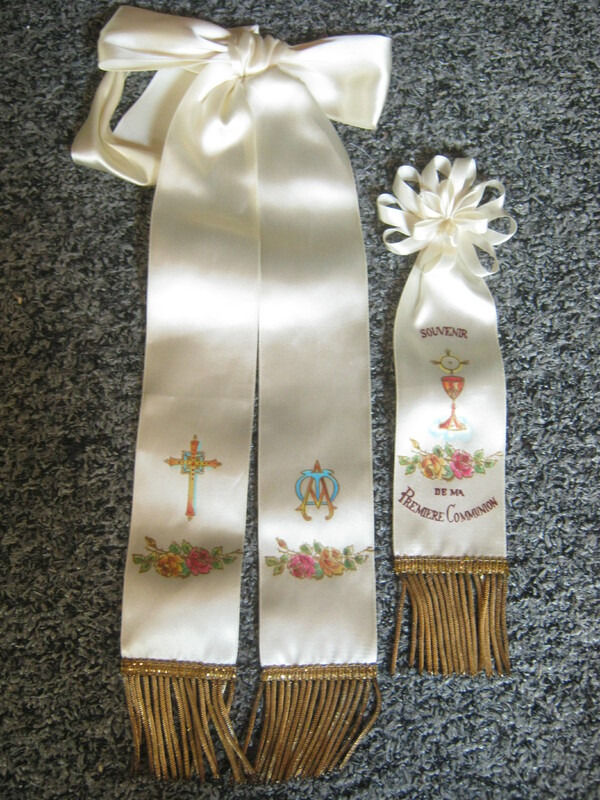 I also found these first communion ribbons in a rectangular white box. These look to be fairly old, perhaps from the 50s or 60s. Here’s a few more of the curiosities I found yesterday morning. This is a paper affixed with six pins. 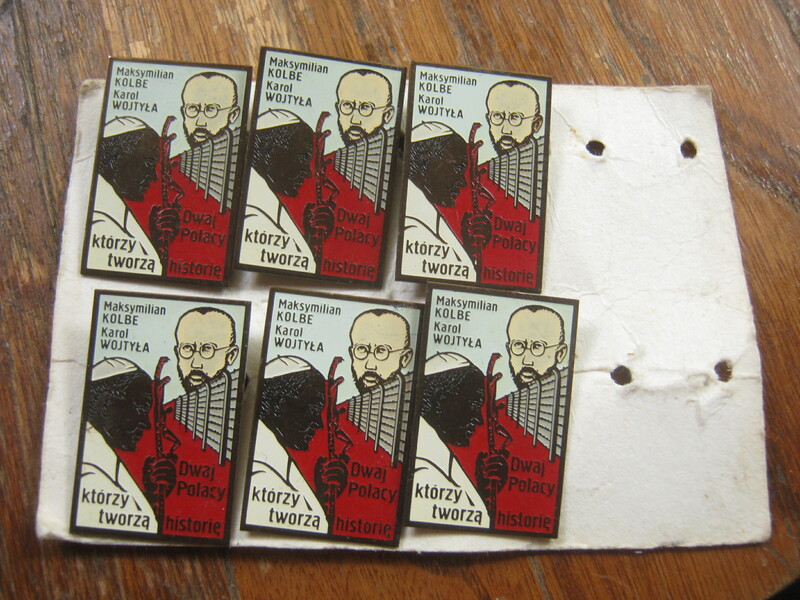 I think they’re written in Polish and the person in the foreground looks to be the pope. Beyond that I don’t know what the subject matter would be, though if I had to guess I’d say the Berlin Wall is on there. If anyone can read this let me know what it says! This ring is made of sterling silver. I’m not sure what the gemstones are. It’ll look great after I clean it up using the aluminium and baking soda technique and should fetch a decent price on Etsy. 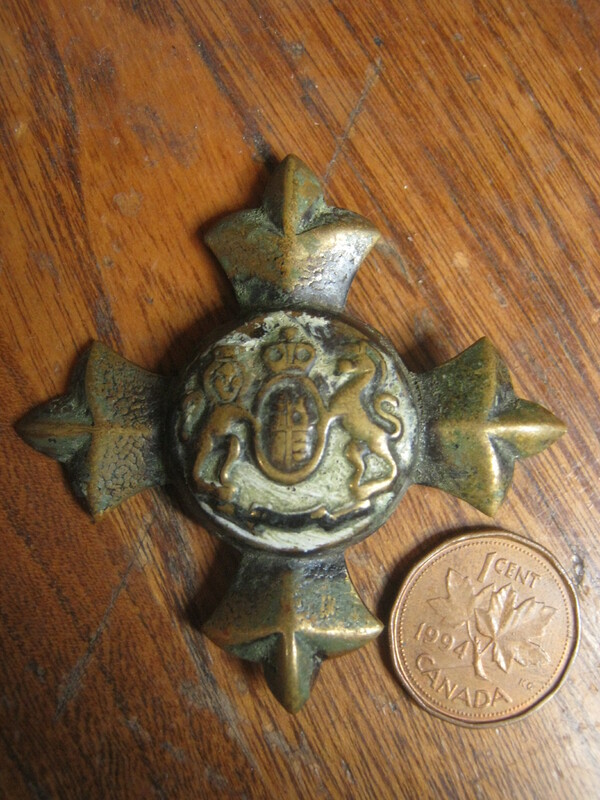 This brass hat pin has a military look to it. Parts are covered with a thin layer of green gunk and I think someone painted the centre white. However, I expect that it will clean up nice with a bit of work. Any information as to the history of this pin would be appreciated! Same with this one. I don’t know it’s supposed to say FBC or FCB. Again, it looks like militaria as it features two axes and a knight. The centre bit is about the size of a penny. I have five (or more, I still have to look deep inside the box) of these tiny little button-like things. There’s nothing on the back so I’m perplexed as to what they would have been used for. They have a dark colour and I wondered if they were silver. I decided to clean one with the aluminium foil technique to see if it shined up. It did get cleaner, though it ended up revealing a tone that looks more like copper than silver. Perhaps the aluminium technique also works for cleaning copper, or maybe all it needed was to be soaked in hot water. The second picture was taken after the clean. 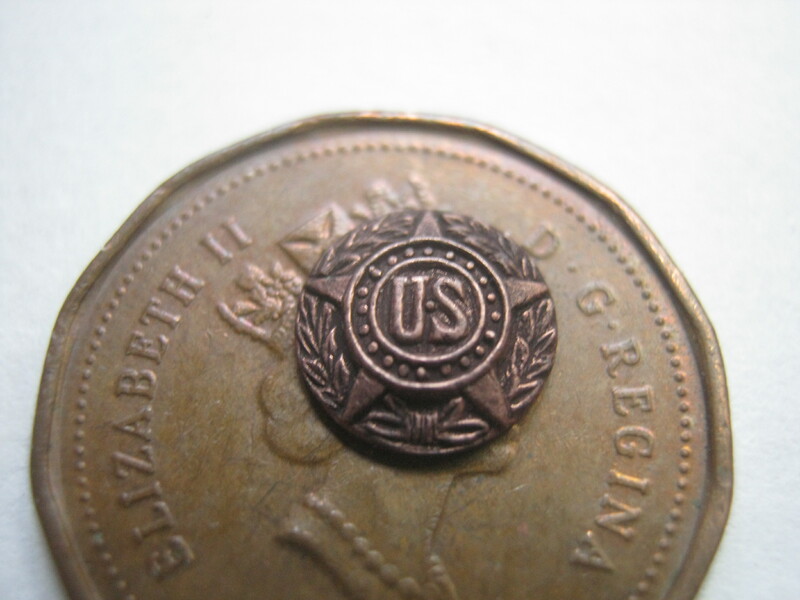 It’s pretty similar in tone to the 1994 penny. I’m not sure what the symbol or flag on the pin at the top right means. On the back all that’s written is the word “Pat’d.” Finally, at the bottom right is another ornament displaying the slogan “follow me,” which appears to be associated with the US Infantry. I have a few different pieces like this one. 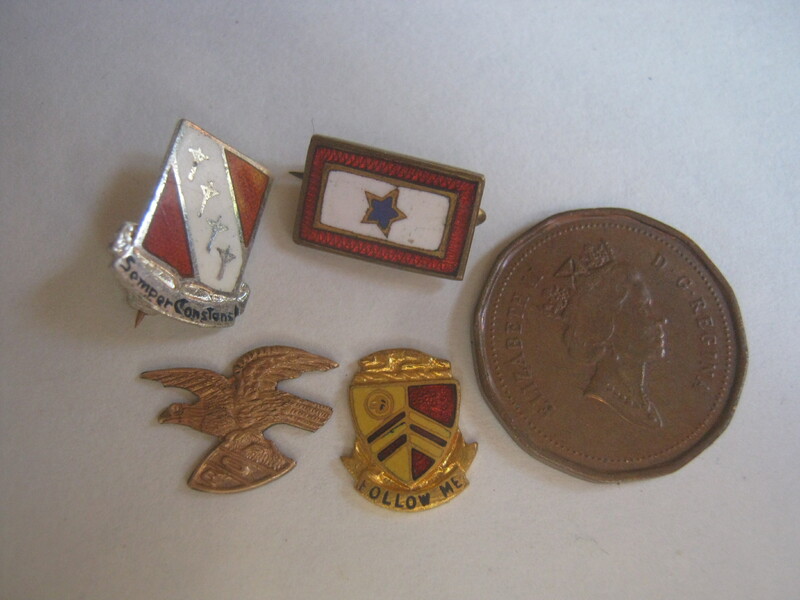 This is just the tip of the iceberg of pins and insignias and ornaments that are part of this collection. Many are from the military but others are from businesses or non-profit organizations. One thing’s for sure: I’ve got a lot of sorting to do! The more I look through this stuff the more I think whoever owned it was once an American, maybe one with Polish heritage. I consulted a messageboard to help me identify that lead piece from yesterday. It turns out that it’s the symbol of the Patrons of Husbandry, a non-profit created by agricultural workers way back in 1867. The only question now is to the age of the piece. I’m thinking it could be really old, perhaps being made around the creation of the organization. I found nothing similar on Ebay, just pins and such from a clearly more modern period. I’m going to take another run soon. 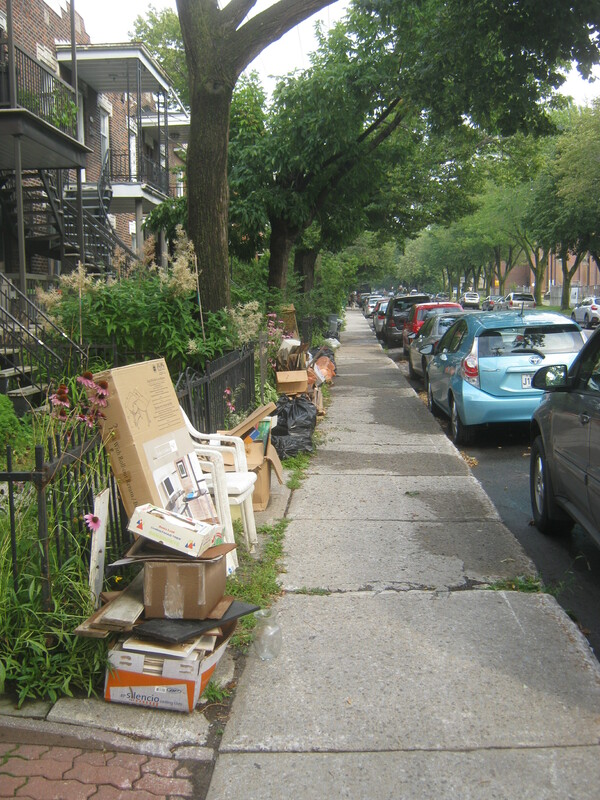 I think I’ll check out yet another previously undiscovered Rosemont trash day in addition to my usual east Plateau run. Father M. Kolbe is a Catholic saint, a Polish priest who volunteered to switch places with a father sentenced to death in Nazi camp in German-occupied Poland during ww2. He was canonized by John Paul the 2nd. red field for a martyr’s blood. Wow, lots of fascinating stuff for you to research. Nice ring. Is it a 925? I look forward to seeing it cleaned up. The stones look blue … quartz, topaz, sapphire, blue diamonds? A mystery. Yup, it’s marked sterling. I’d like to find someone who can tell me what the stones are. I didn’t see an identifying mark but they are quite nice! I am fascinated by your blog,but lately you have not mentioned coming upon reusable good food thrown out.One of the purposes of the blog was also to educate people to reduce food waste and to report your food finds to reduce your own food budget.How are you doing on dumpster diving for food(quality food,unspoiled food)? That’s true. I haven’t really done much of it recently. I have a place I go for bread (I picked up a couple of loaves today in fact) but overall I haven’t done it very much. I did indeed forget, maybe I’ll write a post more food centred in the near future. Those places are just really far by bike. I’m trying to get a Communauto thing going, if I do I’ll likely check out more of these distant neighbourhoods. I’m definitely interested in Lachine, the other ones not quite as much. If I remember right the other three are places with bins which are much less me-friendly. Zeroing in on the initials picked out in nailhead trim on that headboard was a nice touch too, and an idea I might borrow one day. I’m subscribed by email and always look forward to your discoveries! I love the lamps but I have no place for them currently. As such I’m definitely interested to sell. Send me an email at thingsifindinthegarbage@gmail.com and maybe we can work something out. And now, of course, my husband isn’t a fan. I really like them though – if you list them on Kijiji or CL, please send me the link and I’ll happily promote them on the blog for you! montrealdigs (AT) gmail.com. You make me want to dumpster dive! Love your blog and your finds! 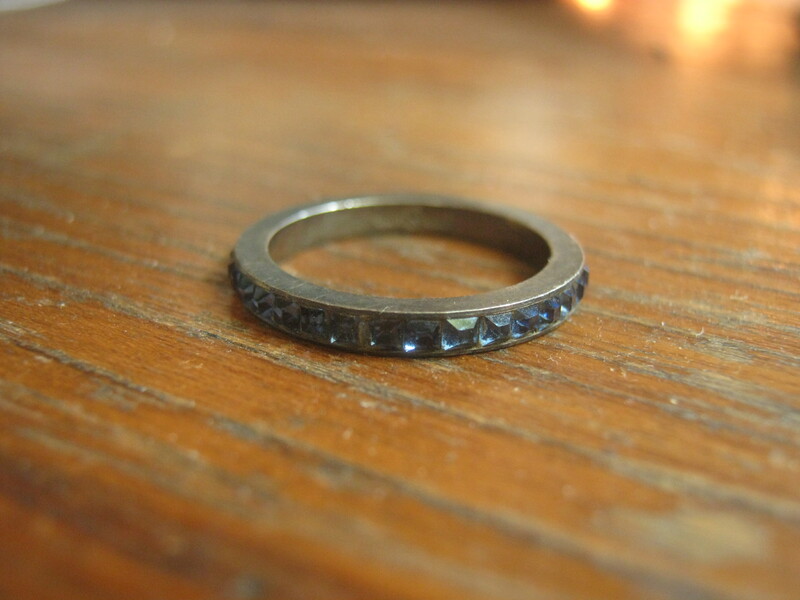 hi, re that ring, please try to find someone who knows about it, BEFORE you do cleaning…it looks possibly quite old/unique, and if so, cleaning may take the “patina” off…Maybe a museum? and those lamps, you know, they do look interesting….did you check for “signatures”/makers marks? etc…maybe they are also older /more valuable than first look? I can’t find any marks but they are quite beautiful. It’s hard to tell how old they are, but from the socket I’d guess they were 60s or 70s. I think the stones are aquamarine. they come in various shades of blue. I did find a “new” ring that was similar, but not the heavy sort of square cut band this has. I am glad you will not polish it till you find for sure, I have watch so many antique shows where this has decimated the value. do the stones go all the way around the ring, or only part? you say you can’t find any marks? so how do you know it is sterling? 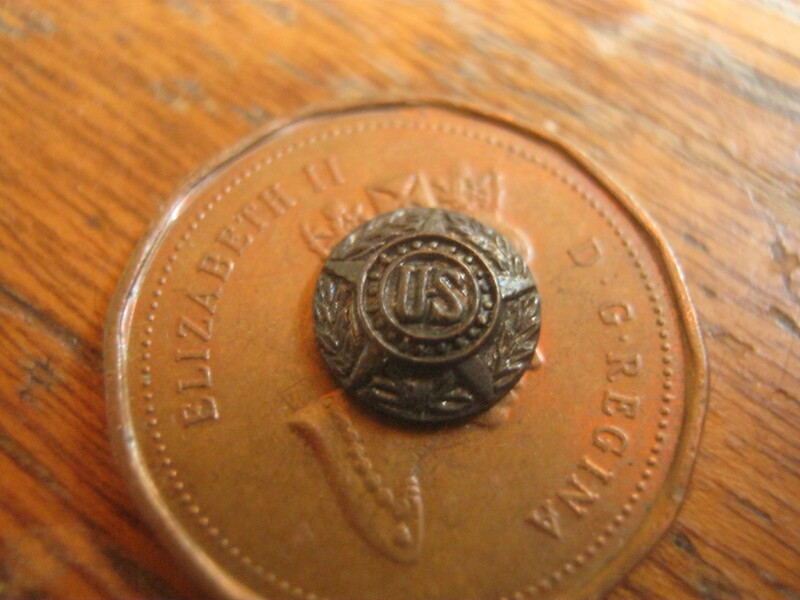 if there are any sterling identifying marks, a book/someone knowledgable might be able to discern time period/company. what this ring sort of reminds me of, is one I saw on Antique Road Show. The band on that was sort of a square cut/plain cut. sort of sturdy and solid like this. it had been found in a field. no one thought it worth anything much, as it was such a solid/plain sort of band. however, the expert said, it had come fr a time when jewelry was very difficult to afford, for anyone. expert said it had been owned (most likely) by royalty. was worth a fair bit. The last couple weeks the garbage truck has been coming outside Atwater library very early in the morning on Wedbesday between 8:30 pm and 9:30 pm.Please pass by Atwater library on Tupper Street early between 8:30 and 9:30 pm.A lot of good books on anthropogy,sociology,gardening,etc as well as hardcover and softcover novels are thrown out many weeks .A number of those books are almost out of print and are worth rescuing.Tell your buddies about Atwater library so they may rescue some discarded books on Wednesday morning. I made a small mistake in my posting above.I wanted to say the garbage truck has passed by early on Wednesday morning outside Atwater library the last couple weeks before 9:30 am.So scavengers and book collectors must pass by between 8:30 and 9:30 am outside Atwater library,not between 8:30 and 9:30 pm,as I mentioned above.If you go the night before,you will not find anything for the books are put on Wednesday morning itself. 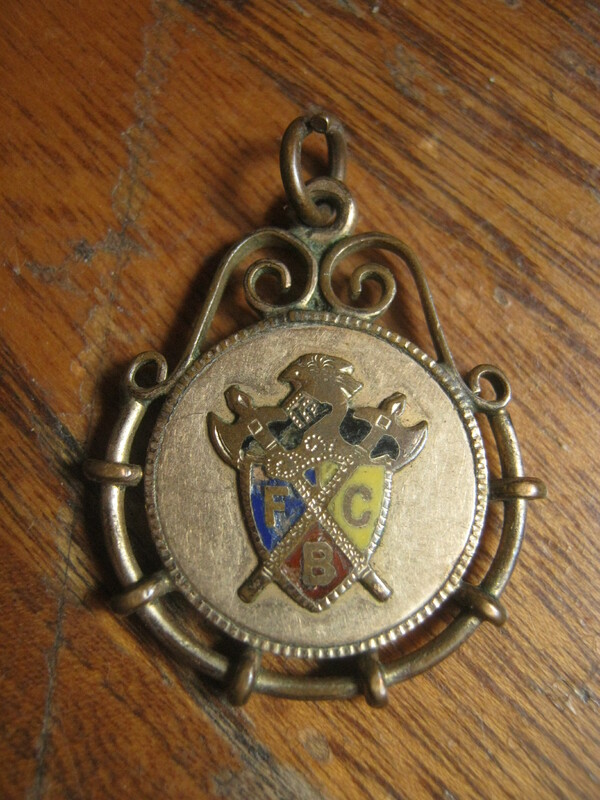 The acronym “FCB,” which stands for the Pythian motto (“Friendship, Charity, Benevolence). Check ebay between 15 $ to 25 $. There are over 700 object related to this Order. I have some stuff that I am sure you can sell on your garage sales and make $$$ with them. I will bring them on Monday with me. Your blog has encouraged quite a few people to scavenge,I think.But maybe not enough.I live in the suburbs and I frequently see people scavenging early in the morning or at night.But these people mostly scavenge for recyclable cans and bottles;some go around in vans picking up scrap metal and good reusable material.But I would like to see more people go around scavenging art,historical stuff,books,pottery,figurines etc on trash day in the suburbs.Many people who collect bottles and cans are not interested in taking other stuff,even if it is valuable and even if it can be seen in the garbage.It depresses me to think that a lot of valuable stuff and books in the suburbs does go indeed in the trash truck or recycling truck and eventually ends up in the landfill. I think it takes a certain eye to see this stuff as valuable sometimes and it also takes a certain skill to be able to sell it. Some things just don’t seem valuable until you search for it on Ebay or something. I’ve trash picked for years for example and only recently have I become what I’d call an “expert.” For example, it’s only in the last year and a half maybe that I figured out how jewelry marks of gold / silver worked. Before then I might not have even known to look. I hope this blog imparts some of my trash wisdom on other pickers. 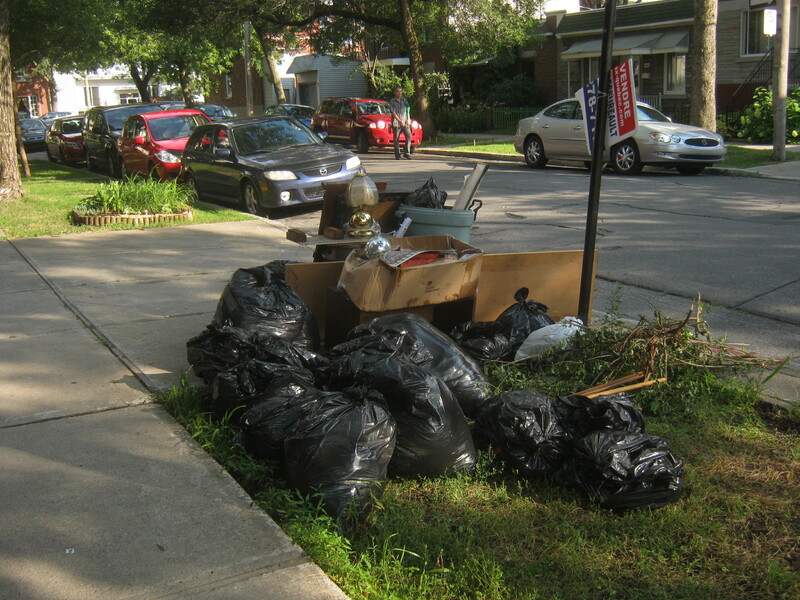 More importantly though I hope to show the potential tossers of garbage that their stuff still has value to someone! If I’ve convinced people to sell their stuff or give their stuff away in the various ways I promote I’d be quite happy! A lady friend of mine was able to sell two rare books she found in the trash outside Atwater library on Wednesday morning for $50 and $40 respectively to a private collector.Some rare historic books are thrown out by Atwater library on Wednesday mornings.These books are worth checking out.I am a receptionist at a dental clinic.Whenever schedule permits,I go to Atwater library on Wednesday mornings to rescue books. I’m glad you save those books, it’s too far for me to travel to very often, a good 20 minutes by bike (one way). A lot of people seem to know about the free books now which is good. I’m surprised they threw out such valuable books though! I would like to read about valuable but working used music instruments that you have found in the garbage.I am talking about guitars,accordions,mouth organs,etc.Is it often that you find such things?There are a lot of music lovers who are interested in laying their hands. Someone recently asked me what I never or rarely find in the trash and after some contemplation I realized that I rarely find musical instruments, outside of electric keyboards which aren’t uncommon. In my history I’ve found a working bass guitar, nothing too fancy but I still sold it for 55$, and a seized up (and kind of cheap) trumpet. That was a while back though. That’s pretty much it. I think it’s because most people know that musical instruments have value, both for culture and monetarily. That being said, it wouldn’t surprise me to see an instrument someday! I keep an eye for magazines in recycling bins while I am walking.I live near Marche Jean Talon.The most common magazines I see are Chatelaine,Elle,Clin D’Oeil,etc.I do not value them much because they are too common and too easy to find.I rescue magazines such as Esquire,GQ,Architectural Digest,New Yorker,etc when I find them in recycling bins.Which kind of magazines do you salvage other than very old issues of historic magazines?Any magazine titles that you like to rescue for personal reading,for selling or giving? Rosemount seems like a very pretty picturesque neighborhood as seen in your photos.I hope you check out Lorimier,Parthenais and Cartier in Rosemount on trash pickup day? I hope you get the Communauto thing going and that you can explore a lot more neighborhoods on garbage pickup day.You are ubersmart,and I think you can make even more money with what you do.If you have a car,you can also collect beer cans for recycling. blog and making money off that,you could be even better off.You won’t have a problem with space if you temporarily store treasures at your sister’s place,your friends,etc.Besides,things like beer cans and bottles can be recycled within 24 hours and the money can be obtained right away.I want you to do the extreme north of the city and also the western/southwestern parts. I would like to as well. I think it’d be interesting to look at the trash in the older part of Longeuil and Laval and also explore the east/west corners of the Islands. I hope to have something figured out for next month. I’m in NDG, and have to say I think my neighbourhood, plus CSL and Mtl West might be a promising route for you, and I’d love to read about what you find. Hope the Communauto plan works out, Martin! The rectangle pin with a blue star in the center is something still used in the U.S.A. We wore our pins throughout the time my son in law was serving in combat in Iraq. It comes from an even older tradition of fabric banners called “buntings” that were displayed on family porches. A blue star means your soldier is overseas fighting. Some pins have two or even three blue stars for brothers, etc. Then, if your soldier was killed you displayed a very similar bunting only the center star is gold. This let your neighbors and community know about your loss. Thus, the saying “Gold Star Mothers”. Let me know how much you might want to sell your pin for – if you still have it! Thanks!